May is the start of a long anticipated Loom-a-long on Ravelry. With tongues in cheeks, we call this one "Fingerless Mitts: The Quest for the Perfect Thumb." We have a variety of free patterns to try out, with and without thumbs, and a lot of brainstorming about how to add a comfortable thumb to our mitts. Since so many loom knitters suffer from hand problems, having a comfortable mitt is something many have wanted to try. 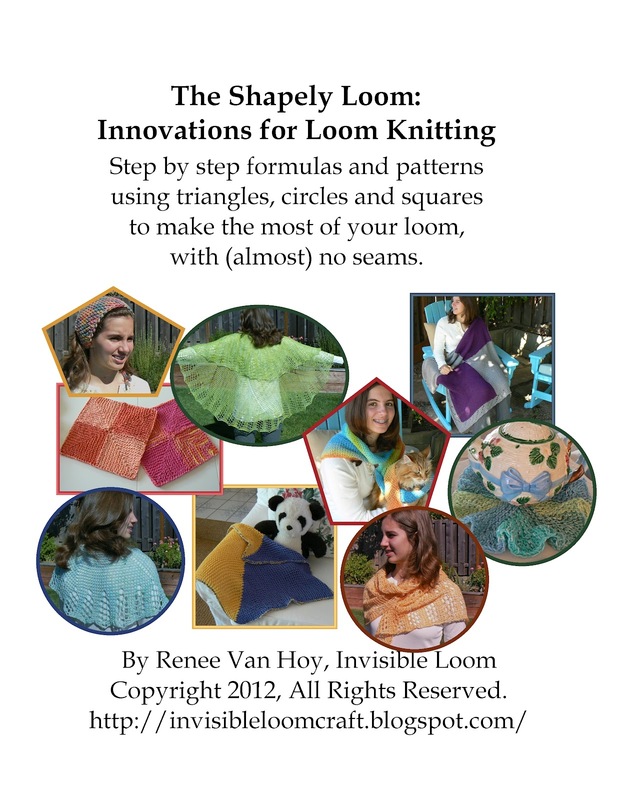 Please come and join the Ravelry Loom-a-long group, try a pattern, suggest a pattern, and make mitts, with or without thumbs. In honor of the fingerless mitt loom-a-long, I have a new pattern for a pair of lacy mitts. 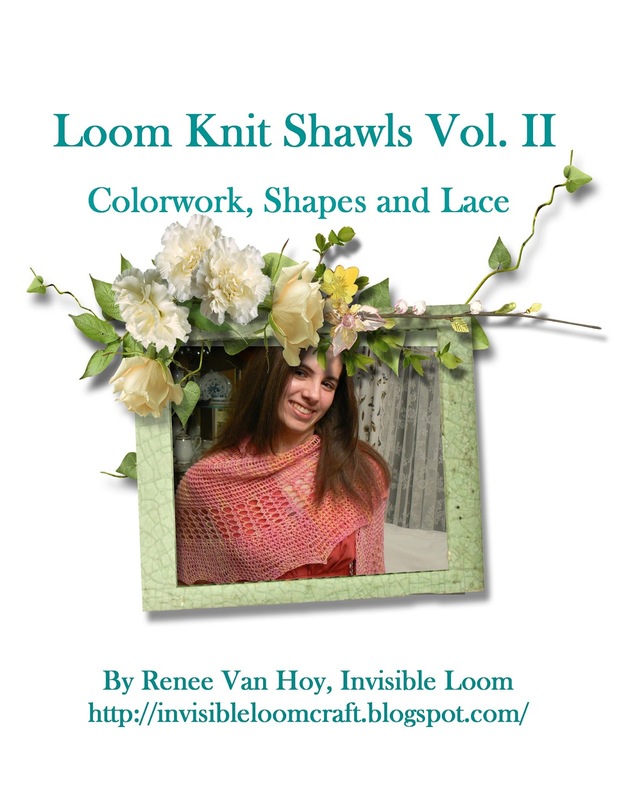 The "Fit for Tea Mitts" may be made on a 1/2 inch gauge loom, with 21, 22 or 25 pegs. They are worked in the round, and have a lacy cast on and cast off, and a little bit of lace on the cuff and at the fingers. They have no thumb - but perhaps we will solve that in the loom-a-long. I hope you enjoy the pattern. Continuing from last month is the Daisy Chain Sweater loom-a-long. The sweater is a fast knit, so if you would still like to join in and try the pattern, please do. And even though the official loom-a-long has ended, there are still quite a few people working on the Leafy Sea Dragon Scarf.